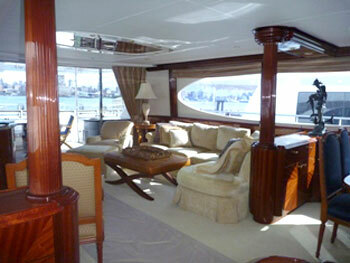 Luxury motor yacht HAIL MARY was built by Lazzara 2004 and measures 24.38m (80ft) in length. 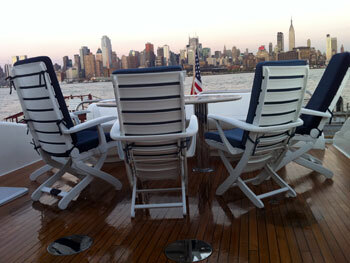 HAIL MARY is able to accommodate up to 6 guests in 3 luxurious cabins. 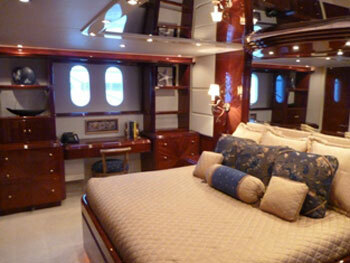 The yacht is based in Florida and charters in both Florida and the Bahamas. 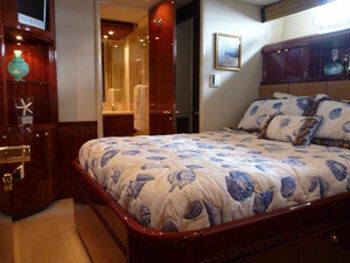 M/Y HAIL MARY has a classical interior of deep toned hard woods with a high gloss finish and fabulous deluxe soft furnishings and plush carpets throughout. The salon and dining area are an open plan, with large windows on either side to allow in ample natural light. 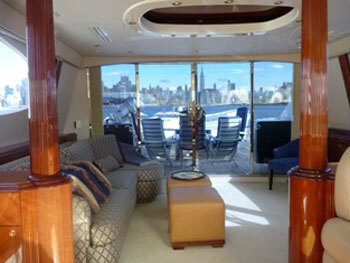 Aft of the salon expansive sliding doors lead onto the aft deck and an alfresco dining area. HAIL MARY also offers a comfortable sky lounge with plenty of entertainment features such as I-pod docking station, Xbox Kinect, XM Satellite TV and an additional alfresco dining option. Motor Yacht HAIL MARY presents a wide array of water toys and outdoor amenities including a 13ft tender with a 60hp engine, 2 jet skis, towing tube, floating matts, water skis, knee and wake board, snorkel gear, fishing gear and beach games. 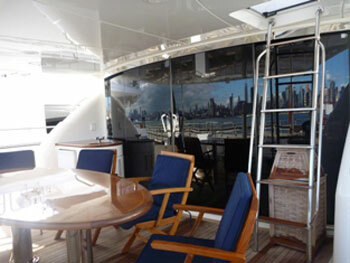 M/Y HAIL MARY has a large swim platform that is able to lower on hydraulic arms making use of all these items a breeze. 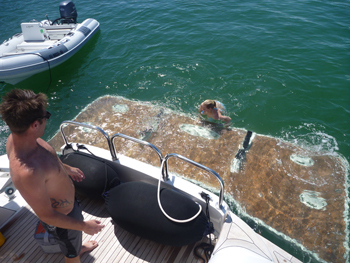 The yacht also offers rendezvous diving. 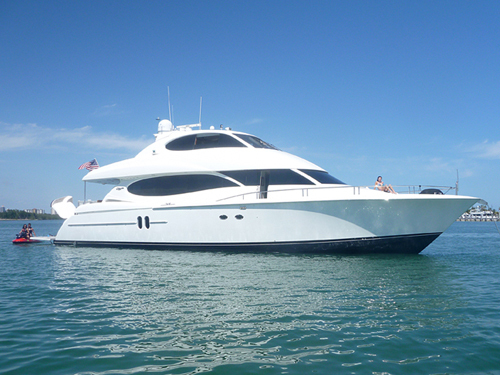 Charter yacht HAIL MARY oozes style in her 3 spacious cabins, the master suite is below and amidships featuring a King size bed with ensuite bathroom, Spa Pool Tub & Shower plus 42' Plasma TV/DVD/CD entertainment system with surround sound. 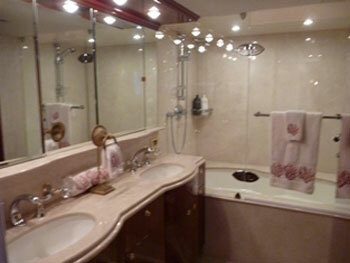 A further 2 VIP staterooms offer Queen size beds, ensuite bathrooms with showers and 15" Flat screen TV/DVD/CD's in each. 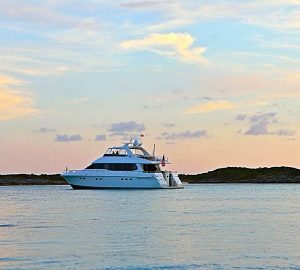 Motor yacht HAIL MARY is well equipped for charter whether you want to be active or just simply relax. HAIL MARY provides a great assortment of water toys including a 13ft tender with a 60hp engine, 2 jet skis, towing tube, floating matts, water skis, knee and wake board, snorkel gear, fishing gear and beach games. 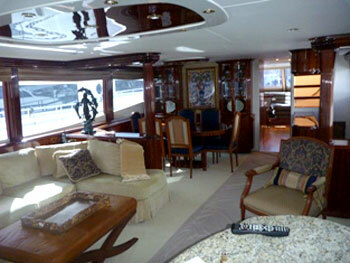 In addition luxury yacht HAIL MARY offers 4 TVs, DVDs, Xbox Kinect and XM Satellite TV.